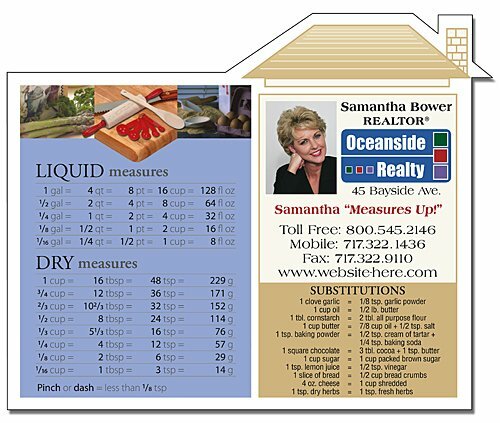 Personalized 4.75 x 3.87 house shape real estate calendars magnet is a brilliant promotional choice for real estate marketers trying to build their brand credentials. Realtors can choose to imprint it as a regular calendar or they can customize it with some other interesting business information such as the important holidays for the company or some measurements, and etc. This magnet provides ample of space for business communication, only the realtors need to identify, what information they wish to project over this magnet. 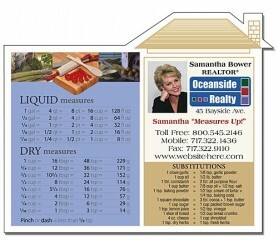 Request a quote to know budget price savings on wholesale custom 4.75x 3.87 house shape real estate calendars magnet.